The next time you need to feed your sports team, your work crew or your large, extended family, keep Qdoba catering in mind. What could be better than taking the whole crowd to Qdoba? Well, having Qdoba come to you! 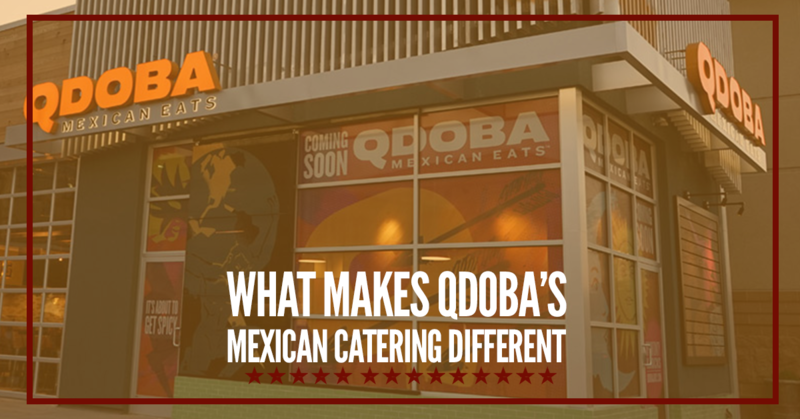 So, when you are looking for affordable, delicious Mexican catering, turn to Qdoba catering! You can choose between many of the dishes you know and love! We offer a Taco Bar, a Naked Burrito Bar, a Nacho Bar, Boxed Lunches, and Breakfast Burritos. We, of course, will bring the food to you, set it up and let you enjoy! The catering bar comes with everything you need, including utensils, napkins, and chafing dishes to keep the food warm. The various catered bars include desserts and drinks so you don’t need to worry about anything, just sit back and enjoy the food and the atmosphere! We have locations all over southern Wyoming and western Nebraska. And of course, the best location is your location! We charge just a $25 fee for setup and delivery. If the delivery distance is extreme, as it can be out here on the High Plains, there might be an extra charge. You can earn rewards by using Qdoba catering! The rewards can be redeemed for discounts on catering, free entrees, gift certificates or exclusive offers that you can receive via email. Call today to reserve your date and delight your guests or team with Qdoba Mexican Food!